Most people don’t like to talk about the “c” word, cancer, because it can be very scary to think about. However, the fact is that cancer is a big concern, and unfortunately, it touches many people’s lives. Most of us probably know someone that has or is dealing with cancer. According to the National Cancer Institute, in the United States in 2018, it’s estimated that over 1,700,000 people will be diagnosed with cancer. Cancer is also one of the leading causes of death worldwide. The most frequently diagnosed types of cancer include breast, lung, and prostate cancer. Colon cancer and skin cancer are also common. The American Cancer Society estimates that about 1,670 people die from cancer every day. The statistics are grimm, but there is something you can do, starting today, that can help decrease your cancer risk. diet is one factor you do have control over. Certain foods help protect against cancer, while other foods may be associated with an increased risk of the disease. Chili peppers: Chili peppers contain carotenoids, which give certain veggies their yellow, orange or red color. Carotenoids have been studied and are thought to have some cancer-protecting properties by inhibiting cancer cell growth and improving the immune system response. 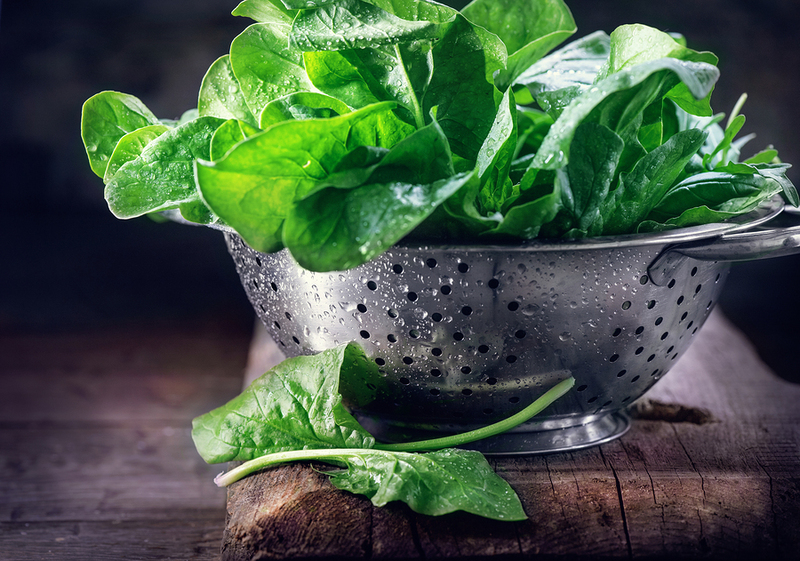 Spinach: Spinach often makes the list of top foods for a healthy diet. Spinach and other greens, such as Swiss chard, kale, and mustard greens contain beta-carotene and lutein, which are thought to protect against cancers such as breast, stomach, and lung. Green Tea: Green tea has several health benefits due to its antioxidants. One chemical found in green tea called epigallocatechin-3 gallate is thought to reduce the growth of urokinase, which is an enzyme vital for cancer cell growth. Green tea also comes in a supplement. Turmeric: Turmeric is a spice, which comes from a plant related to the ginger family. Curcumin is the bright yellow substance in turmeric that has anti-inflammatory and antioxidant properties, which plays a role in fighting cancer. According to Memorial Sloan Kettering Cancer Center, studies involving rats exposed to cancer-causing substances that were treated with turmeric were protected from skin, stomach, and colon cancer. You can also get curcumin in supplement form, such as Curcumin Ultimate. Processed Meats: Processed meats, such as deli meats, bacon, and sausage, contain certain preservatives or flavoring that are associated with an increased risk of cancer. Researchers looked at 800 studies to determine that eating processed meat every day increases a person’s chances of colon cancer by about 18 percent. Soda: Soda either contains sugar or artificial sweeteners. Both ingredients are unhealthy and may increase your risk of cancer. Sugary soda can also lead to obesity, which is a risk factor for a variety of cancers including colon cancer. Soda also often contains caramel coloring, which is also linked to cancer. Microwave popcorn: Chemicals that line microwave popcorn bags including perfluorooctanoic acid are classified as a likely carcinogen. Food additives: Food additives are usually bad news when it comes to your health, and that includes your risk of cancer. Additives, such as artificial coloring, flavoring, and preservatives, are linked to several types of cancer. Exercise regularly: Regular exercise or physical activity is associated with a lower risk of breast, colon, and endometrial cancer. Aim for at least 30 minutes of exercise on most days of the week. Don’t smoke: Smoking is strongly linked to lung cancer. It may also increase a person’s risk of oral and throat cancer. If you smoke, talk to your doctor about quitting. Protect yourself against UV rays: Exposure to UV rays from the sun increases your risk of developing skin cancer. Always apply sunscreen when spending time outdoors during the day. Avoid toxins in household chemicals and cosmetics: Several types of toxins in cosmetics and household cleaners are linked to an increased risk of cancer. Look for products with natural ingredients. Take our symptom checker to find out if you have symptoms of hormone decline and imbalance. Discover what can be the underlying cause so that you can take action to protect your health today. I love articles explaining we can PREVENT CANCER! We always here campaigns about a CURE, but why not prevent getting it first? Especially in October we here all about fight breast cancer. Need to hear more on how diet affects cancer more than genes. We love Dr Joel Fuhrmans way of eating a high nutrient diet to ward off all diseses.